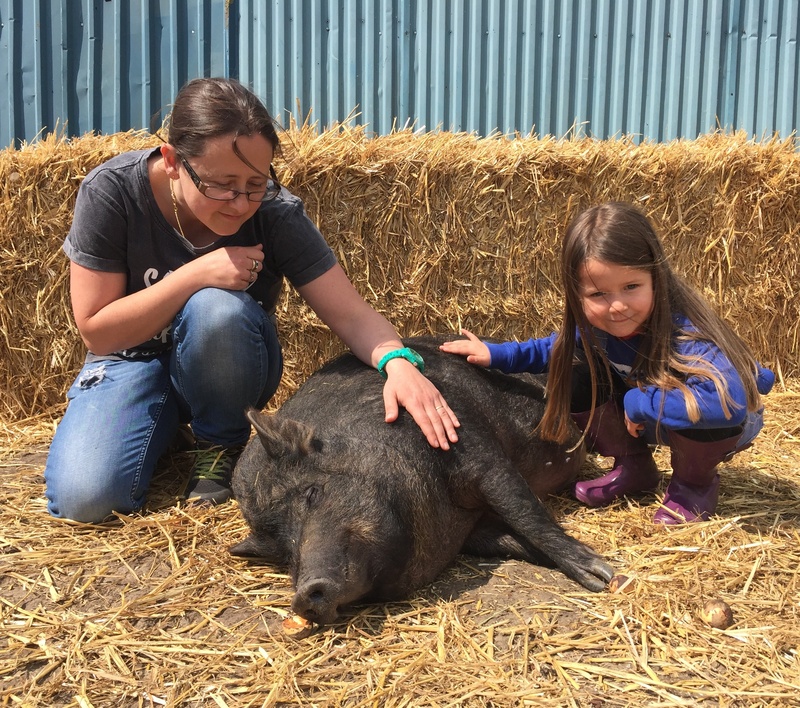 This was our first visit to a sanctuary after my daughter (5) became vegan. I felt it was important to show her the animals that were benefitting by her choices, and what a lovely day it was. It was their first opening day of the year in May, and the sun was out to celebrate the occasion. Run solely on donations and help from volunteers, these guys are passionate vegans, so I was delighted to be in good company. We were greeted by Daphne the pygmy goat, who was a knockout hostess – Ruby instantly wandered off with her as my husband and I went to discover the rest of the animals at the sanctuary. A day out here beats the zoo hands down. There were pigs scattered about who generously allowed us to scratch their bellies and feed them bananas. The cows lazily acknowledged our presence and happily got on with their day as the smell of home-cooked vegan treats wafted our way. We queued patiently to have our vegan chilli dished up with a side of sticky finger-licking apple cake – the only thing that Ruby swiftly abandoned her new pal Daphne for. The only thing missing was a nice cold beer. A wonderful day out for families, vegan or not – everyone is welcome. 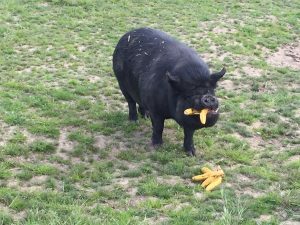 When Ruby chose to become vegan she was – unexpectedly – very understanding about no more visits to the zoo. “They all look sad in there anyway,” she wisely said, shrugging off the idea. The same cannot be said of the lucky animals at F.R.I.E.N.D Animal Rescue, and what better way to support the statement of loving animals than donating help or money towards people who rescue them from the most awful of circumstances and take care of them. A day out here beats the zoo hands down. Check out their website and FB page for regular fundraising, open days or to volunteer. You can even buy supplies for the animals in their care or items for the farm upkeep from their Amazon wish list. 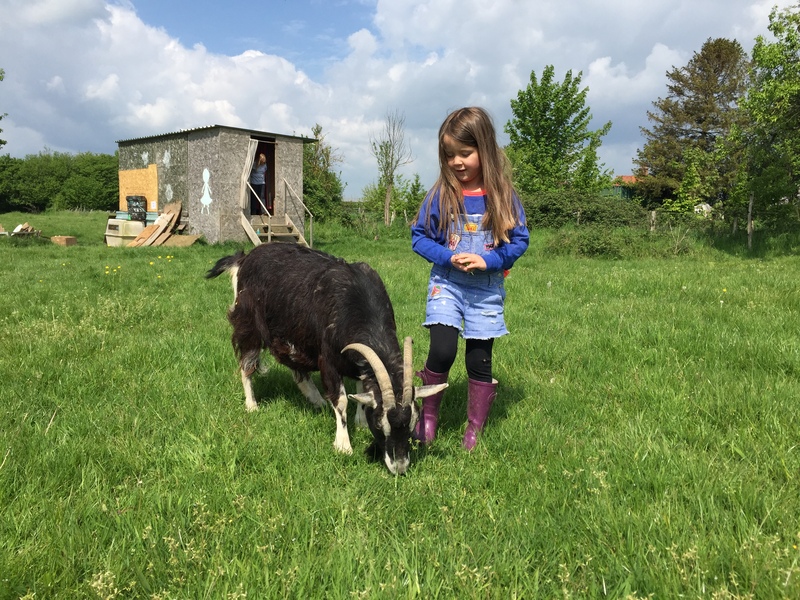 A wonderful day out for families, vegan or not – everyone is welcome.